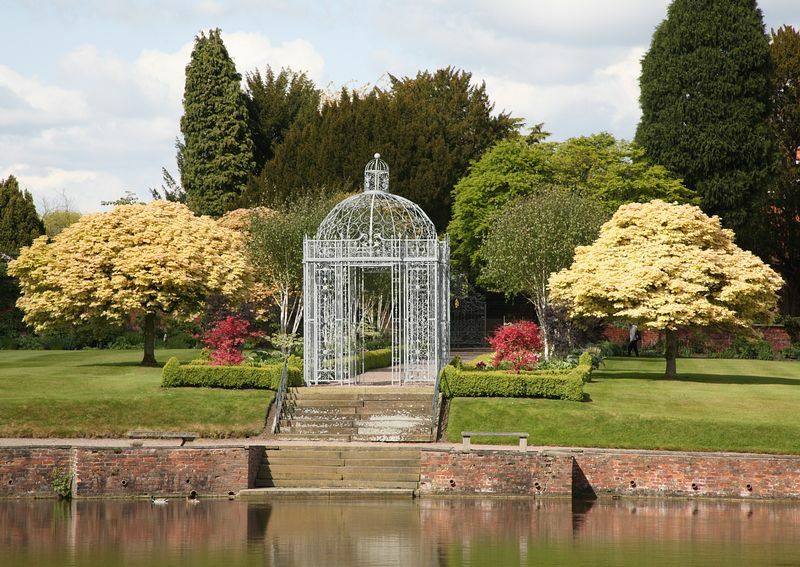 Capesthorne Hall has been the home of the Bromley-Davenport family and their ancestors since Domesday times when the appointment of Master Sergeant carrying the responsibility of law and order in the forests of Leek and Macclesfield was granted to them. Since then many generations have served in parliament, the Bromley side providing both a Chancellor and a Speaker.The original hall was designed by the Smiths of Warwick between 1719-1732, then altered by Blore in 1837 and finally by Salvin who rebuilt the central part after a disastrous fire in 1861. This home has a fascinating collection of paintings, sculptures, furniture, tapestries and family muniments.Close to the house is a beautiful Georgian chapel dating from 1719 where services are still held. 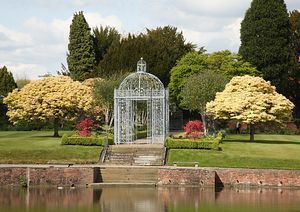 The gardens, lakes and park extend to over 100 acres and contain many interesting features including herbaceous borders, an old ice house and a variety of woodland walks. On the A34, about 6 miles south of Wilmslow and 7 miles north of Congleton.